When businesses opt for ergonomic flooring, it’s with many thoughts in mind. A safer surface for staff to walk on. Less wear and tear on the legs and backs of those staff members who are on their feet some or most of the day. A reduction in workers compensation claims as a result of a more ergonomically sound floor. That’s right. One of the benefits of a more resilient, more ergonomic flooring system is it will have some noise reduction qualities. This is true with our BioLock flooring and many of our ESD flooring products. It’s not a huge reduction but a reduction nonetheless. At the end of the day customers purchase a more ergonomic floor to reduce worker’s comp claims and to improve employee health and, subsequently, morale and retention. But a reduction in noise certainly helps in those areas as well. For more information on the ergonomic benefits of FreeStyle flooring products, please give us a call at 508-583-3200. 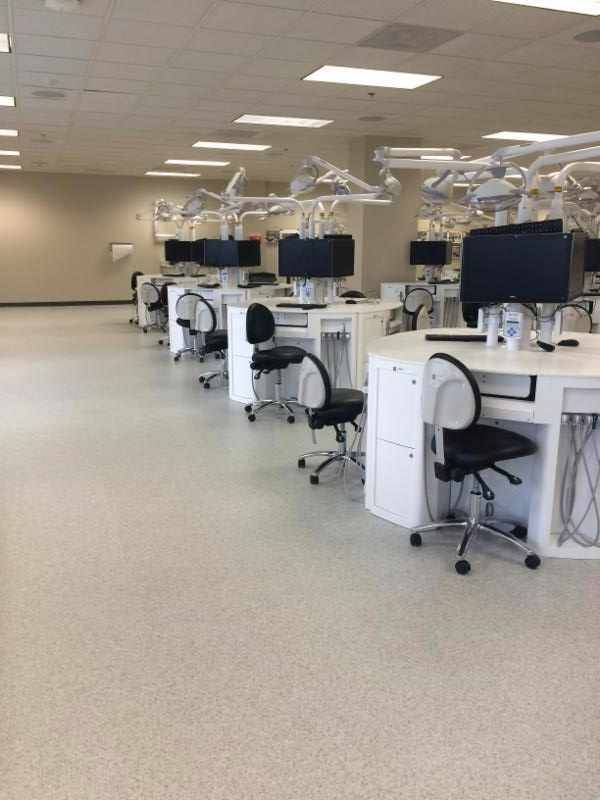 “We needed to select flooring for the primary lab at Waterbury Hospital with the stipulation there could be little to no downtime. 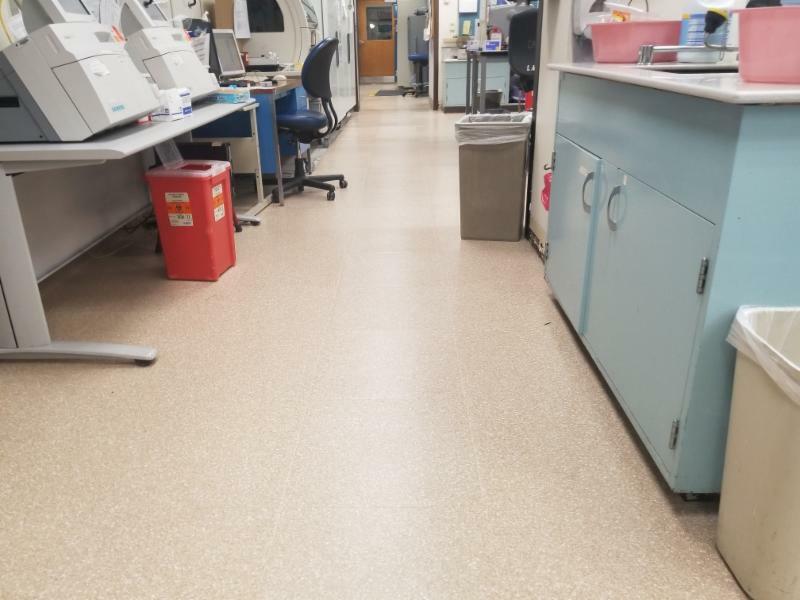 The hospital originally considered an epoxy but the existing floor was not in the greatest shape and the necessary drying time would require the lab to be unavailable for several days..."